Soak black gram in 4 cup of water for overnight. Grind ginger or garlic separately into a fine paste. 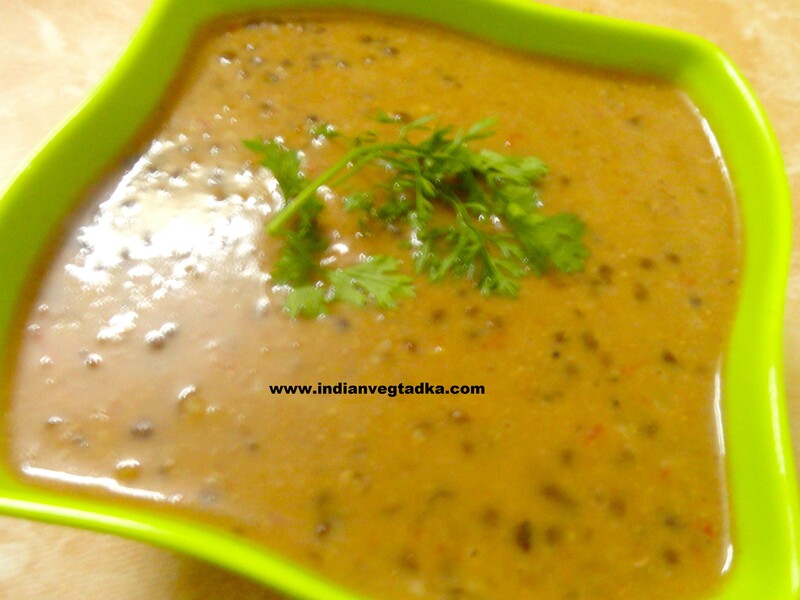 Cook black gram in 4-5 cups of water along with salt, red chilli powder or ginger past brings it to boil. In slow flame simmer for about an hour or till it is completely cooked and tender. Melt half the butter in thick-bottomed pan and add garlic paste dissolved in half a cup of water cook for 2 min. Stirring continuously add tomato puree remaining butter, garam masala powder and cooked dal to this and cook on low heat for an hour, stir add water if required, add fresh cream simmer for another 10 min. The consistency of this dal is quit thick.